I have lit.tra.lee been wearing the same awful mom swimsuit for the past five years. It's falling apart, it's stretched out, and probably the most unflattering suit I could ever own. It was my go-to bathing suit after giving birth to three toddler-sized babies. Let's face the facts: My body will never, ever be the same, and even before I had babies I was definitely not wearing a bikini. I am always on the look out for modest, but fun and fashionable swimsuits. Albion Fit is a family owned business, with garments designed by women for women, offering both women's fitness clothing and swimwear. "Albion Fit is committed to its environment and community by recycling 90% of plant waste and by using earth-friendly materials in all products. Within these commitments, Albion Fit recognizes the importance of balancing an active lifestyle with a flair for fashion, creating fitness and swimwear that is not only high-performance, but high-style as well. In our collections, fashion meets function to form clothing that both stands, and works, out." I mean… are you dying over the cuteness of their suits or what? My personal favorite is the Midnight Dip suit. Mostly, because I'd like to pretend I can take a midnight dip, with red lip stick on, in the ocean, in that suit. What I'm really doing playing marco polo with two little boys, while trailing a baby behind me in a tube. I need the following three things in a bathing suit: side ruching, tummy minimization, and a bathing suit that comes down a little bit on my thighs. Catch what I'm throwing? This suit offers all of those things and is right on trend with ruffles and black and ivory color blocking. What more could a girl ask for? The straps are removable (but SHALL NOT be removed on my suit), and overall, I am just giddy happy to be the proud owner of this suit. 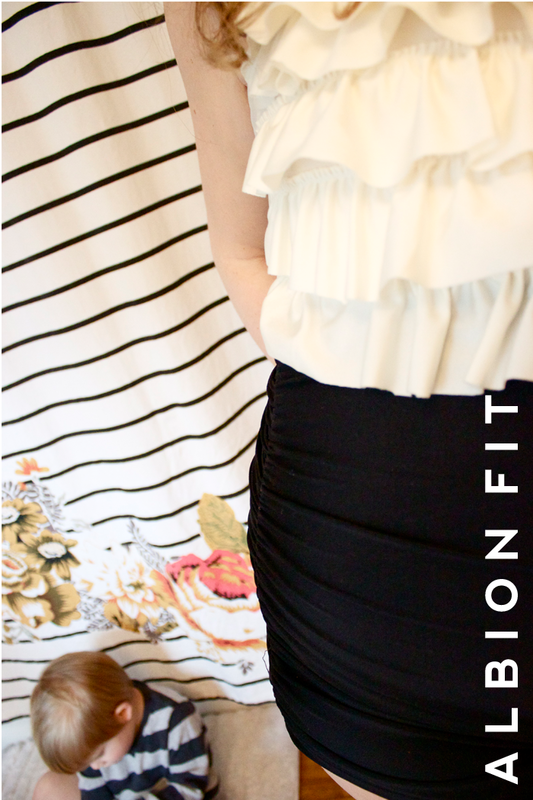 I am also obsessed with how the site describes it: thigh-minimizing retro fit. Uh. Yes, please. I feel comfortable but stylish in it… which is the jam. I love it so much, that I'd love to give one away to one of you, too. For those of you who cannot wait one more minute to get your hands on a new swimsuit, I understand completely. Use Coupon code takeheart15 to save $15 off any purchase of $50 or more! 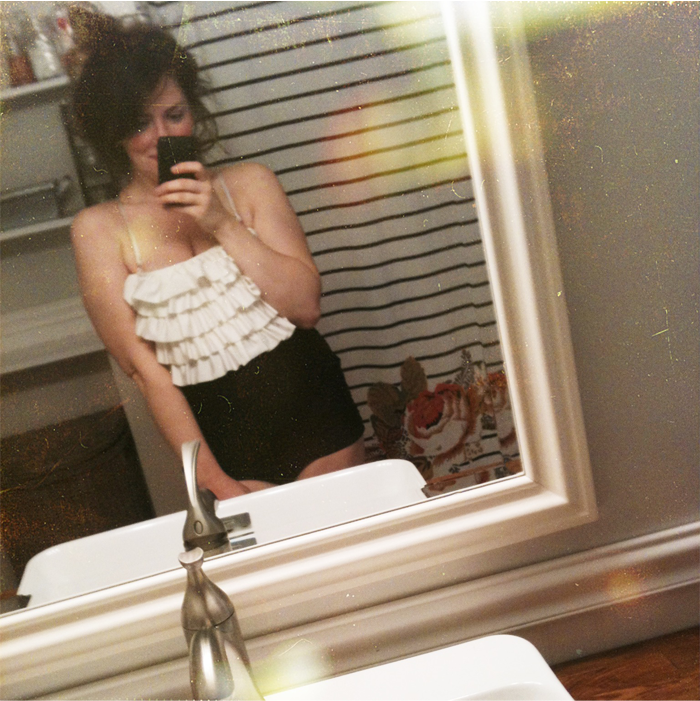 bathing suit ℅ Albion Fit, but all thoughts and opinions expressed here are my very own.